Definition of Interlude: an intervening episode, period, space, etc. Everyone has times in our lives when we need a break from work and responsibility, especially when we are grieving. Therefore, most of us can identify with Mallory Wingate as she seeks a refuge of peace in The Interlude. 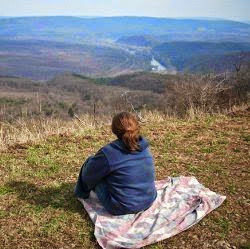 The story takes place in the Smoky Mountains of Tennessee, which is the perfect place for respite and recovery. I know from my own experience that the Smoky Mountains are a little piece of heaven here on earth. The InterludeCheck PriceMallory has spent the last few years working full-time and also caring for her terminally ill mother. When her mother dies, Mallory has an emotional breakdown at work. Her concerned boss insists that she take time off, so Mallory returns to the one place where she has always found love and care, her grandparents home. On the plane, a handsome man is seated next to her, but Mallory prefers to be left alone. However, Lucas James is intent on engaging Mallory in conversation. He even invites her to join him for dinner during the layover between flights. What seems like a casual meeting and flirtation when traveling, actually takes on a totally different significance when the two passengers find their destination is exactly the same place, her grandparents home and resort. Mallory is slightly embarrassed to find out that Lucas is the pro-golf instructor at the resort. Lucas is shocked to discover that Mallory is actually his employers granddaughter. Both would prefer to keep their "interlude" a secret between just the two of them. Both have their own issues and baggage that keeps them from desiring a romantic relationship. One of the things I found most interesting about this book was how the author showed us just how easy it is to say something hurtful to someone else without realizing, or even intending, to cause pain. Most likely, we have all experienced that to some degree in our own lives, but seeing it written so vividly in the context of a conversation in a book, really can be eye-opening. A promising friendship, or relationship, can be irreparably fractured by careless words and assumptions. 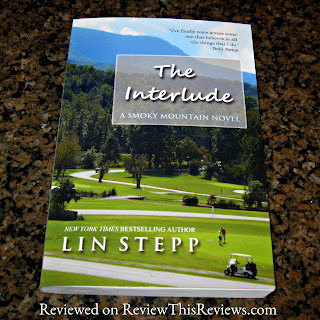 I would like to thank the author, Lin Stepp, for gifting me with an advance copy of "The Interlude". That gave me the opportunity to read and review it before the actual release date. You will definitely want to grab your copy of this wonderful book today and start reading as soon as possible. When I was much younger, it was hard to find good Christian fiction. Grace Livingston Hill ( who wrote between 1877 and 1947) almost owned the Christian romance genre. Her books are still popular today, but many in younger generations find her books too old-fashioned. Today's Christian readers, however, have far more choices. Many excellent books now exist in the genres of Christian contemporary romance and Christian historical fiction. We also have Randy Singer's Christian legal thrillers to compete with John Grisham. 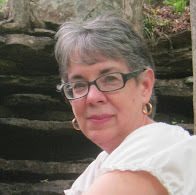 And we have Nancy Moser's contemporary Christian fiction. Amazon classifies The Steadfast Series as religious and inspirational, as well as mystery and suspense. In my opinion it lives up to both labels. I couldn't put the books down. After reading The Seat Beside Me I had to download the other two books in the series immediately. Warning: When I finish a book in this series, the end leaves me hanging. I always feel the book is not quite complete. But isn't real life also like that? We don't always know what's next. 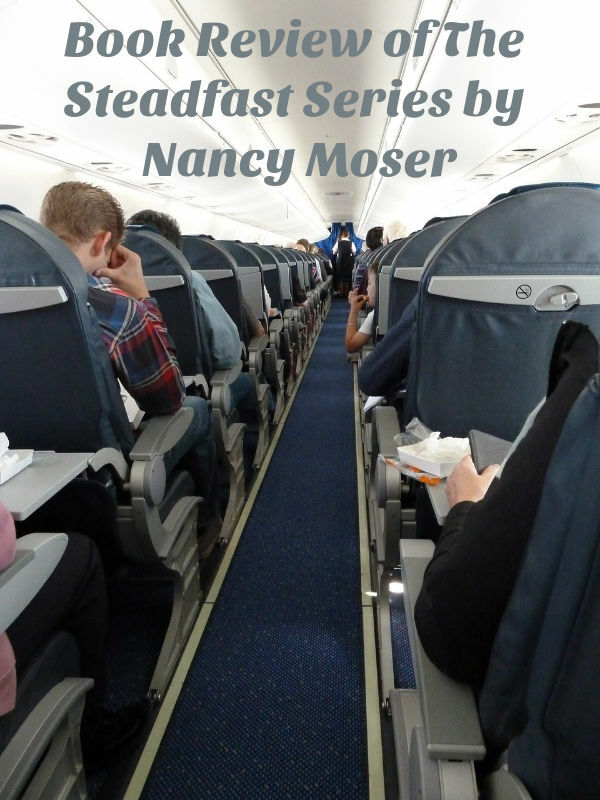 The books in The Steadfast Series emphasize the importance of individual choices. God deals each of us a hand, but we choose how we play that hand. We humans make decisions that have consequences. Each chapter of the three books in this series is introduced by a short related portion of Scripture. When you fly alone, do you wonder who will be sitting beside you on your trip? I do. So do the characters in The Seat Beside Me. They have made conscious choices leading up to their presence on Flight 1382 to Phoenix. We watch many of their choices as they board and discover their seatmates. We get to know six passengers very well. Sonja is a schemer who tricks her way onto Flight 1382. She wants to be one of the three from her company to attend a corporate conference in Phoenix and hopes her attendance will help her get a promotion. She uses information she overheard to betray her colleague who was supposed to go so that she could take her place. The seat next to her is filled by a handsome black man in a suit, Roscoe Moore, who immediately engages her in conversation. 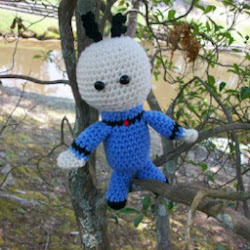 Henry's job requires him to fly, but flying scares him. He is a Christian and you see him struggle with his fear as he takes his seat. He's not afraid to die, but hates the feeling of being completely out of control of his life while in the air. He sits in the aisle seat on one side of George (below). 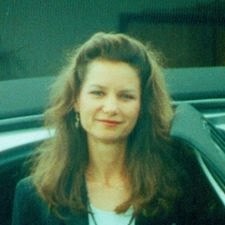 George lost his beloved wife seven months ago. He is grieving and is going to Phoenix to commit suicide. He has one daughter. He has left money, a note, and important documents so that she can't miss them after he is gone. George is sitting between a widow in the window seat who won't leave him alone and Henry, who rescues him from her. Merry has a husband and son. She is going to Phoenix to meet a single girlfriend and escape her family and responsibilities for a few days. Although she loves Lou and Justin and they love her, she is a discontented housewife and her marriage is going through a rough phase. Merry is not at all happy when Lou and Justin surprise her by boarding the plane, and joining her for the trip. No escape. Anthony is an egotistical plastic surgeon. He is rude to everyone he meets as he prepares to board. He's a man with no real friends and the reader can easily see the reason why. The person who (in his opinion) overfills the seat next to him is an unattractive woman he immediately labels as "white trash." Even her substandard English offends him. She calls him a "rich la-di-da" and lets him know she hates doctors. Tina is a high school English teacher who hates her job and doesn't like her students much, either. She is also a Christian. She is not happy to be seated next to a teenage girl who reminds her way too much of her students, but as she converses with Gayla she actually begins to like her. Dora is a reporter who did not want to go to Phoenix. Then her mother called and begged her to come because she needed surgery and didn't want to be alone. So Dora got ready to make the trip. At the last minute her mother called and Dora didn't have to go after all because the doctor said her mother no longer needed the surgery. She is delighted to stay home. Although the passengers are ready to go, a blizzard has closed the airport and delayed all flights in or out. 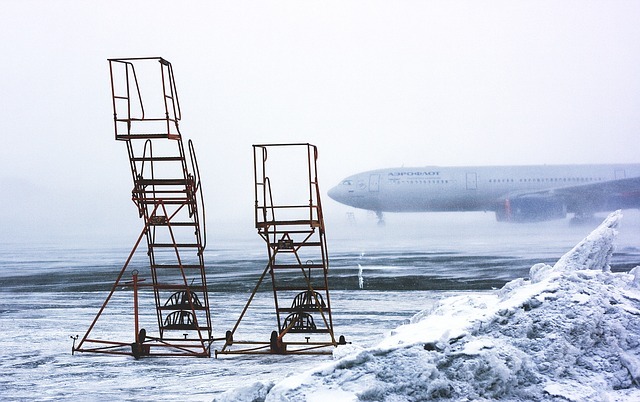 Even after boarding, the plane is delayed on the tarmac for several hours because of snow and icy conditions. This delay gave the passengers a lot of time to get acquainted with their seatmates. The extra time of quiet and boredom made passengers more willing to open up with each other and have conversations that touched on important issues. As we listen in we learn what choices Tina, Sonja, George, Henry, Merry, and Anthony are contemplating. We also discern a lot about their problems and characters. Finally the pilot tells the passengers that they will be taking off. The author does a good job of foreshadowing what will happen. Readers know the plane will crash. We watch the passengers reactions as they begin to realize the plane is about to crash. Those who survive impact fight for their lives as the plane falls apart and they await rescue. We see the actions of the most selfless and the most selfish. None of the survivors will ever forget their experience in the icy water and the hospital. The memory of the horror and fear while waiting for the rescue helicopter stays with them. We watch as the crash experience changes all of them. None can go back to exactly the lives they had before. The crash, important as it is in the plot, is not the main focus of the book. It is the characters' catalyst for change. The focus is on the decisions the characters make after the crash and how those decisions affect their new lives and relationships. 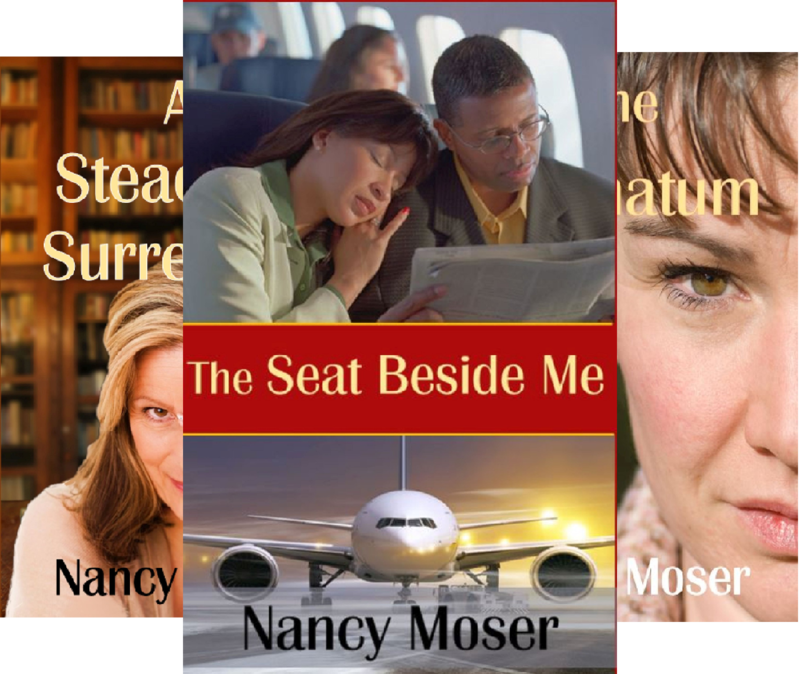 You will meet some of the characters in other books by Nancy Moser. One of them is the main character of the next book in the series. In this second book in the series, crash survivor Merry, who lost her husband and son in the crash, tries to start over in the small town of Steadfast. Orphaned teen Sim runs away from her aunt and uncle guardians. Claire Adams, a famous mosaic artist, is challenged by a speaker at church to give away all her possessions in complete surrender to Christ. All three end up in the small town of Steadfast, Kansas. It is there they meet and begin to influence each other as their lives change. All three need to choose a future direction for their lives. Much of this book is set in the public library where Merry is the librarian. I loved watching the antics of the regular library patrons and the library "ghost." 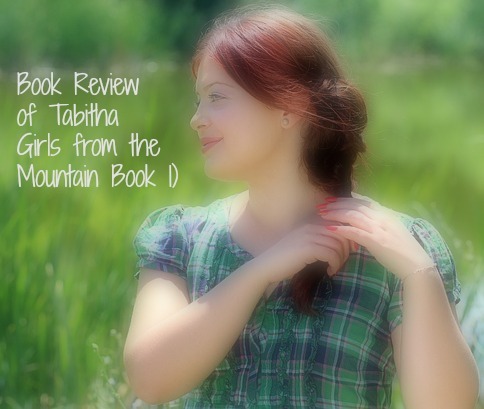 Most of the characters in this book continue on to the next book in the series. In this book most of the focus is on Merry, Sim, and Claire. Jinko, owner of Palamba Bar and Grill in Eldora, a town twenty minutes from Steadfast. As the book opens, Jered is running for his life. He has been on the streets for three months. He had argued with his dad Bailey and Bailey had collapsed with a heart attack. Jered, afraid he might have killed his dad, grabbed a few clothes and fled in his truck. First he'd gone to Kansas City, but he found it too big and dangerous, so he drove to Eldora, which was much closer to home. He had run out of money and was eating from the garbage. As he raids a dumpster in front of the Palamba Bar and Grill, Jinko, the owner, discovers him, offers him a job and gives him money to clean himself up and return to work for him. Jered accepts and Jinko offers him a place to live. He starts by washing dishes. He is eager for Jinko's acceptance. I won't say more about this because I don't want to spoil it. Bailey is plotting to swindle Cal. Annie suspects it. But the marriage is in trouble because Annie recently became a Christian and Cal not only wants nothing to do with Jesus, but also resents Annie following Him. Annie has to be careful what she says. Much of the plot revolves around the relationships of people and how they are trying to get ahead any way they can, escape or face their problems, and make important life choices. Jered's dream is to be a musician but his father mocks that choice and wants Jered to work at Bon Vivant and take it over some day. Jered longs to feel important to his father and know his dad loves him. Annie wants Cal to become a Christian, but Cal wants to pull Annie away from Christ. Jinko wants to control and use Jered. Claire, Sim, Merry, and Susan play supporting roles in this drama as they help, encourage, and pray for others. It takes a life and death situation to truly reveal the character of Cal, Annie, Jered, and Jinko. Personal choices brought each of them to play their part in this scene where it appears someone will die. Each reveals his character or lack of it in this scene. And each must endure the consequences of his own choices and those of the others. What is the purpose of life? Where can we find the significance we humans crave? The characters in these books are looking for those answers. What does God really want from us? How do we follow him in today's world? What does it mean to be a Christian? Why do bad things happen to even good people? This book helps people think through the answers to these questions as they make their own choices. 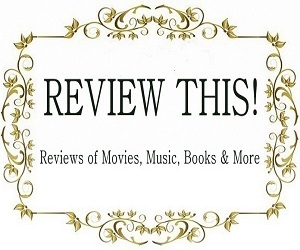 See all book reviews on Review This! 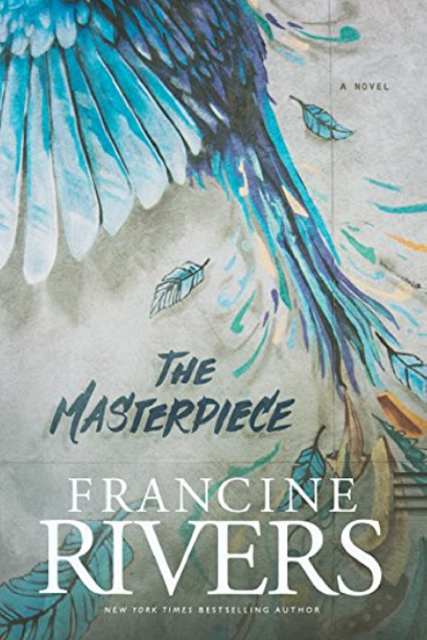 The Masterpiece is Francine River's most recently published book. Like all of her books, The Masterpiece isn't a typical cookie-cutter Christian fiction where everything is perfect after salvation. It is a story about people with very real issues in life. Rivers doesn't write about fairy-tale versions of life as a Christian. 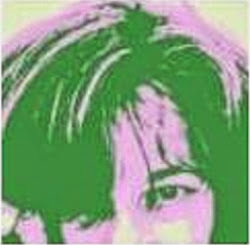 She writes about down to earth people who have been hurt or are struggling with life and in some cases, struggling with God. Her books are not meant to malign Christians. Rather to assure us that we are not alone and that it is not abnormal for a Christian to hurt, suffer, or even fail. She also doesn't steer clear of difficult subjects like adultery, divorce, abortion, pregnancy outside of wedlock, prostitution, separation from loved ones, or even going to hell, quite literally. 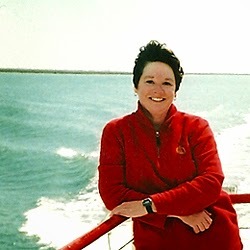 For nearly two decades, Francine Rivers has been my favorite author. Ever since I picked up her series, Mark of the Lion. I have read and reread that series several times. I originally purchased it in hardback since Kindles were nonexistent. But, it was one of the first sets of books I added to my Kindle when one was gifted to me. It may seem odd to you that I read some books several times. I do that when I want to read something I know I will love. It is like watching the same movie over and over again because it touches something deep inside of you. Even though most of my current day book purchases are made in Kindle version, I collect Francine Rivers' books in hardback copies too. I never want to be without them. 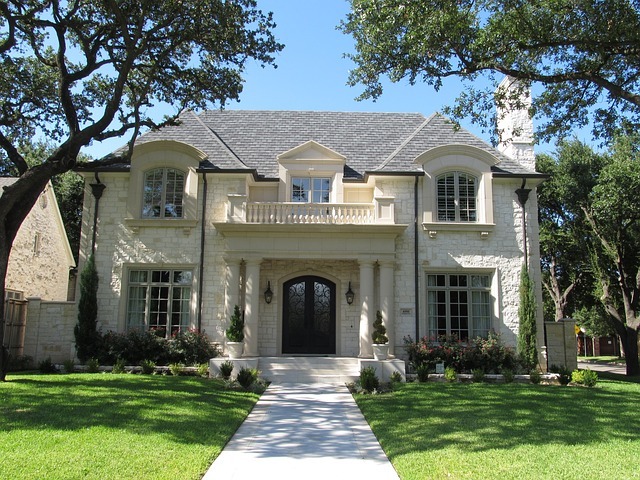 The MasterpieceCheck PriceWhen Grace Moore's father kills her mother and then commits suicide, Grace is found hiding in the closet. Already she has seen and experienced too much for her young mind to comprehend. She will be scared by the murder-suicide of her parents for the rest of her life. 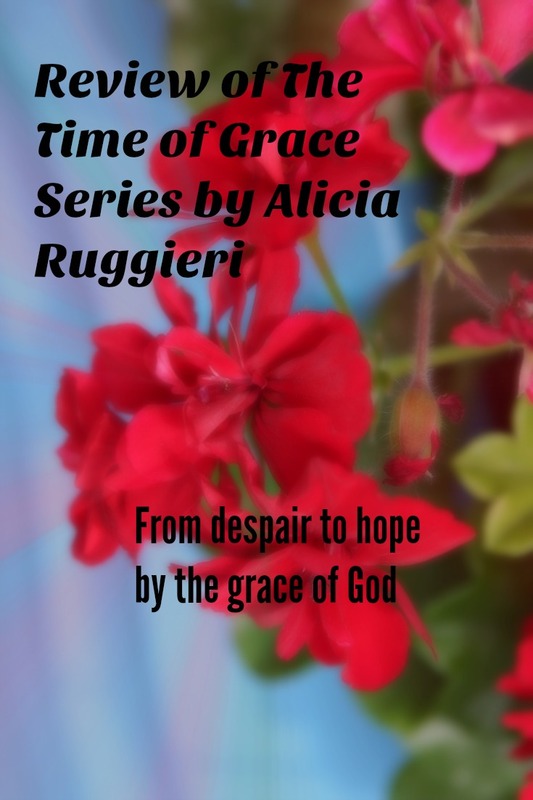 Grace is sent to live with a grieving single aunt she does not know. Aunt Elizabeth has no idea how to truly care for a 7 year old child, nor does she want to learn. Every time she looks at Grace, she is reminded of the man that killed her beloved sister. It doesn't help that Grace looks like him. Having been raised in a loveless home, Grace doesn't really know or remember what love looks like. It is no surprise that she ends up marrying a man who uses his charm to get what he wants from Grace, but who doesn't love her. Because she believes her husband's education should come first, she drops out of college and goes to work full time to support them both and pay his tuition. She is devastated when she comes home early from work one day and finds him with another woman. 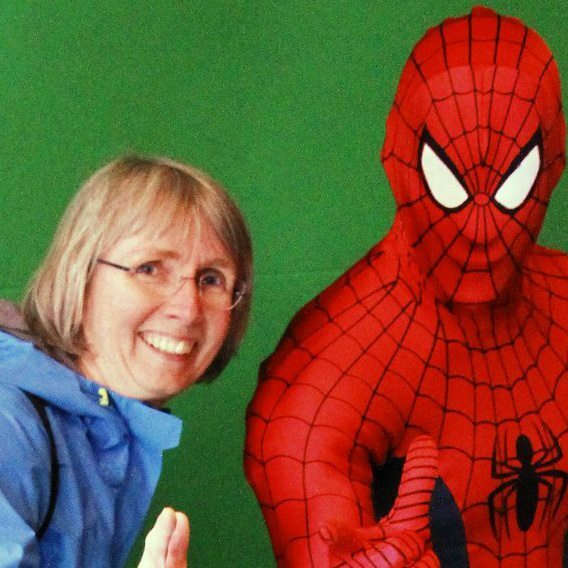 Adulthood doesn't look anything like what she wanted, needed or expected. She must get away and start over. 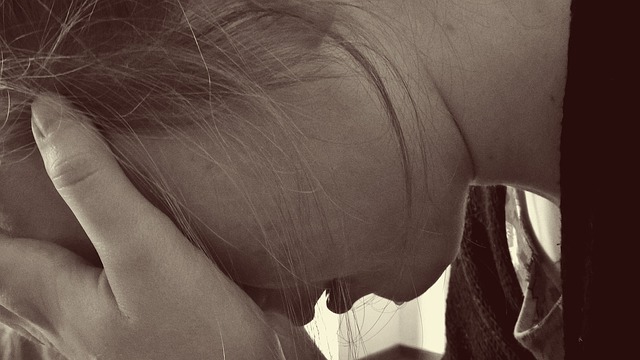 Even though she is a Christian, her problems are far from over. Seeking to find love in all the wrong places, she leaves a bar with a man she just met. The decision to cast caution to the wind will change her life forever. She ends up being a single mother torn, trying to choose what is best for her child. She had planned to give her baby up for adoption. Now, she wants to keep him, but the parents she had chosen to adopt her child, still want him too. Elsewhere, Roman Velasco is a wealthy artist who has lived under the shadow of evil his entire life. He never knew his father, and his mother died of an overdose when he was a child. Roman moved from one foster home to another where the parents either gave up on him, or only wanted the money for taking in a foster child. He joined a gang just so he could have a place where he fit in. Selling drugs did not appeal to him, but he found his niche within the gang by painting graffiti on buildings. After he is caught and arrested, he is sent to Masterson Ranch. An isolated ranch that makes running away impossible. However, the Mastersons and his teacher encourage him to develop his artistic abilities. As an adult, he changed his name from Bobby Ray Dean to Roman Velasco, and found a place where he, or at least his art, was wanted. He became a workaholic and spent every day drawing or painting, often forgetting to eat. He needed a personal assistant to take care of his daily tasks like grocery shopping, laundry, paying bills, answering the phone, etc. Things a wife might do, if he had one. But the last thing Roman wanted was a wife and he certainly did not want another personal assistant who wanted to be his wife or his girlfriend. When Grace is sent by a temp agency to be Roman Velasco's personal assistant, she is not really impressed with him. He is demanding, yet distant. However, the distant part is much preferred by Grace. So much so, that she ends up moving into the cottage on his property for convenience and going to work for him permanently. You may think from the description above that you can guess what is going to happen and to some extent, you might be right. However, expect the unexpected. Grace is a Christian, but Roman is not, so it is hardly a relationship made in heaven. It is what happens to Roman when he suffers a heart attack that I found most gripping. I have heard people describe going to heaven when they die, or even seeing the white light, but reading River's description of what going to hell might look like, sent chills down my spine. Frankly, it isn't as far fetched as I would like for it to be. While this may not be my all-time favorite book by Francine Rivers, I would definitely recommend it. 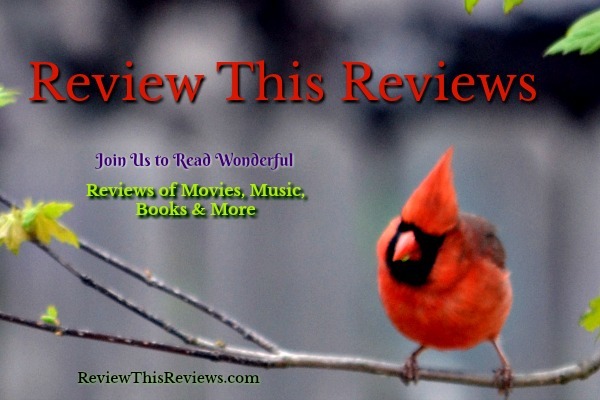 Previously, I reviewed the first and second books in the Refined by Love series by Judith Miller. While it is not necessary to read the first two books in the series to enjoy The Artisan's Wife, the first book does give an introduction to all of main characters in the books and explains their immigration history. 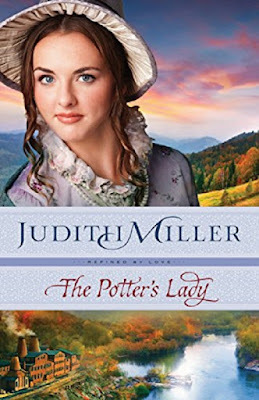 I also highly recommend the second book in the series, The Potter's Lady which is wonderful historical fiction that can stand on it own merit. While I enjoyed all three books in the series, I do believe my favorite was this last book. Partly because of the resolutions, but also because the author delved into the world of asylums in the late 1800's. She introduced me to several facts that shocked me. But before I get into that, let me give you a brief plot synopsis of The Artisan's Wife. 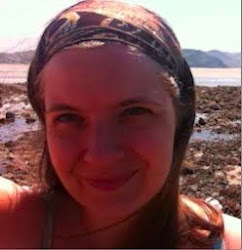 Ainslee Mckay only agreed to leave the rest of her family and move to Weston because her artistic twin sister wanted to run a tile works shop. Since she and Adaira would embark on this new adventure together, Ainsless wasn't too concerned, even though she hated to leave her teaching position at the Pottery Works. However, when Adaira elopes with her new beau, Ainslee feels betrayed by her sister and is quite angry. Because her family has already purchased the tile works for the twins, she is forced to move to a new city and embrace her sister's dream alone. Only when her brother, Ewan, agrees to sell the tile works as soon as possible, does Ainslee feel any relief or hope for her own future. 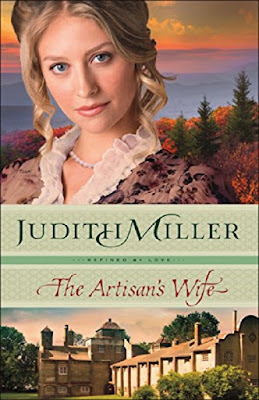 The Artisan's Wife (Refined by Love)Ewan helps Ainslee move to Weston and gets her set up in a boardinghouse for women. He stays in Weston with her for several weeks as she adjusts to all of the changes. Since she has never before run any business, she is faced with quite a monumental task. Originally, the plan was for Ainslee to run the office, while Adaira dealt with the workers, the designs, and the bid proposals. Now, it all fell to Ainslee to handle alone. She braced herself to make a success of the tile works so it would be easier for Ewan to sell. Levi Judson was also new to Weston. He had left he job, left his dreams behind, and moved there to be close to his brother who had been committed to the asylum. Both Levi and his brother were artists, but Levi believed his brother was truly more gifted. Unfortunately, Noah had mental difficulties and lapses caused by a high fever when he was a child. Levi moved into a boardinghouse for men and went in search of a new job. He started at the local tile works where he presented his letter of introduction to the pretty girl at the front desk and ask to speak to the owner or manager about job openings. This, of course, made for a entertaining moment in the book. Because Ainslee had just landed a new contract and because Levi was recommended, plus experienced in multiple areas of tile works, she hired him immediately. Like everyone else in town, Ainslee was frightened by what and who was within the walls of the asylum. She was surprised one day when she ran into her employee, Levi Judson, leaving the grounds of the asylum. She was even more surprised when she discovered he taught art there to a small group of men. Being uncomfortable with deception, Levi shared that his brother lived in the asylum. When he found out how much Ainslee enjoyed teaching, he recommended that she consider teaching a group of women in the asylum. But it wasn't until Ainslee was hurt on the job and needed immediate medical attention, that she was taken inside the doors of the asylum to the only available doctor in town. 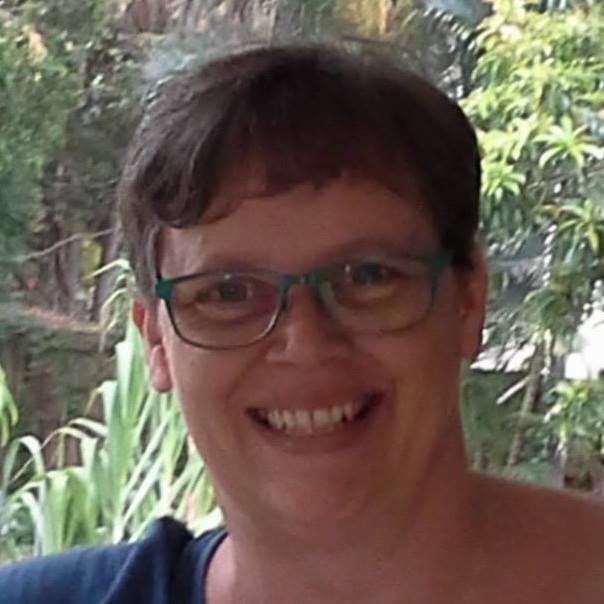 When Ainslee decided to start a library in the asylum for the women, she met several of them and discovered they had been committed by their husbands. 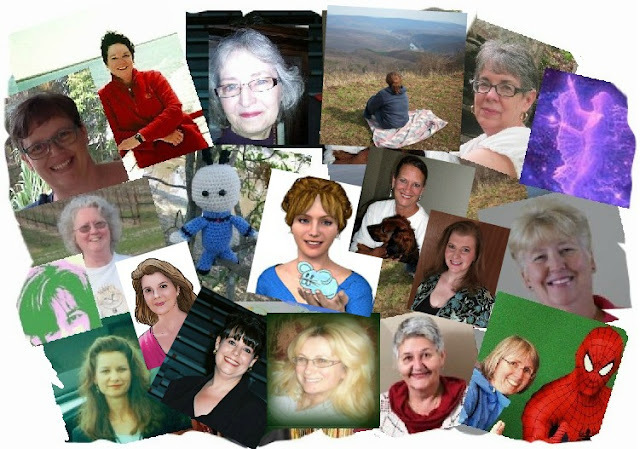 Some were there for depression or grief, but others were there simply because their husbands had tired of them and wanted rid of them. One lady was committed because her brother wanted access to her bank account. Ainslee had now found a place where she was needed in Weston, but she still wanted to make the tile works successful. To do that, she needed Levi and his brother, Noah. The artists who could revolutionize the tile industry. 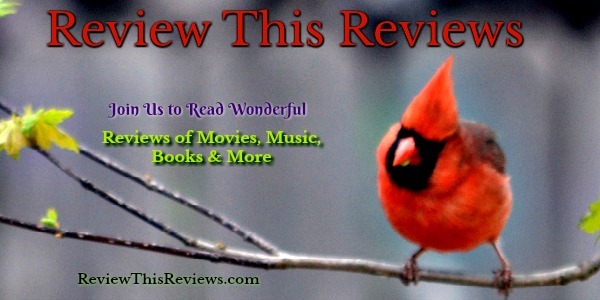 The Artisan's Wife is a wonderful Christian fiction book that reminds us to wait and watch for the unexpected blessings from God while we are busy making other plans. 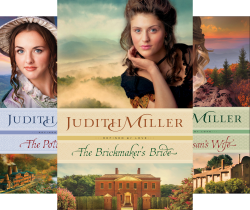 Last week, I reviewed The Brickmaker's Bride from the Refined by Love series by Judith Miller. If you haven't had a chance to read that review, I invite you to visit that review since that book is the foundation for the entire series. The Potter's Lady picks up the story two years later from where The Brickmaker's Bride ended. If you haven't read the first book in the series, this article will be a spoiler. However, The Potter's Lady would be a delightful read regardless of whether you have read the first book. It can easily stand on it's own merit. This Christian historical fiction takes us back to the late 1800's where women were not encouraged to explore the working world. Outside of being seamstresses or house help, there were very few acceptable jobs for women and none of them were considered proper for women in high society. Rose has just graduated from Philadelphia School of Design for Women and she is quite anxious to get back home to her family, her place of security and love. Because she is an Irish immigrant, she was not well received by the other girls in the school. They took every opportunity to make fun of her and to remind her that, regardless of her connections with the Woodfield family, she is still an outcast in high society. The Potter's Lady (Refined by Love)As soon as she sees her brother, Ewan, she knows something is wrong. She insists that he tell her what has upset him. When he finally relents and shares the latest news from home, Rose is distressed to hear that Ewan has been forced out of the family brickyard business. 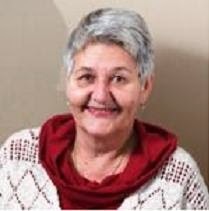 Since he was never made a partner as promised, when Uncle Hugh died, his wife, Margaret became the sole owner and she had her own plans for the business. On the train ride home Ewan needs to stop to visit two other businesses that are for sale. He hopes to start over and would like his sister's help in deciding which company would be the best investment. They visit both a small brickyard and a pottery works company. Even though all of Ewan's experience has been in a brickyard, the family decides to purchase the pottery company instead. Since Rose is an artist and Ewan has management and contract negotiating experience, the family believes they would make a great team in a new business. That decision is also based on not wanting to compete with Margaret's brickyard and potentially causing a greater divide in their extended family. At her graduation party, Rose reconnects with Joshua Harkness. His family also owns a pottery works in another city and she believes he might have some insight to help her succeed. Joshua has other ideas of his own and starts courting Rose, but he also takes a mistress who happens to be Ewan's daughter's nanny. Rylan Campbell is a longtime employee of the pottery works that Ewan and Rose purchase. He is key to helping them grasp the intricacies of the pottery works business. 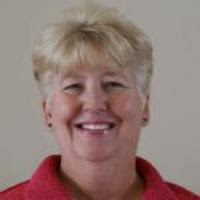 Rose immediately sees several changes that need to be made to the daily business. She desires a cleaner environment, as well as a school for the children working at the pottery works. She gets a tremendous amount of resistance from the workers and even though Rylan doesn't like change, he strives to help Rose implement her ideas. Rose and Ewan's twin sisters come to the factory to set up the school that will teach around the children's work schedules. In spite of their hard work and factory changes, the pottery works can't seem to land any new contracts. That is, of course, detrimental to the success and longevity of the company. When Rose hears of a contest with a reward of a huge pottery contract, Rose and Rylan go to work on a new design that they hope will win. However, just as before, Joshua Harkness has other ideas and plans. As I said in the introduction, this book can easily stand on it's own merit. Honestly, I enjoyed reading this book more than The Brickmaker's Bride, but I was glad I knew the family background, especially where Margaret was concerned. It was also nice to already be familiar with the history of how Ewan and his family came to America and met the Woodfields. There are times in everyone's life when we need a shelter and our home is most often our shelter. 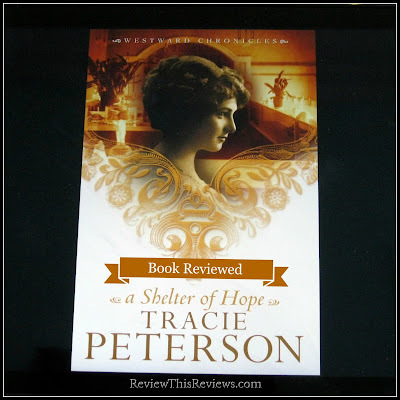 However, in the book A Shelter of Hope, Simone needs a shelter from her home. She endures regular beatings at her father's hands. Since she had never known any other environment other than her horrendous home, she doesn't know where or how to find a shelter from the evil. When her mother tried to escape to get help, she was tracked down and murdered. This knowledge completely trapped Simone. She knew if she tried to run, she would also be murdered. The book, A Shelter of Hope, was written by one of my favorite authors. I doubt I would have stuck with the book beyond the first chapter if I didn't trust the author, Tracie Peterson, to deliver her child character. A Shelter of Hope is a historical fiction set in the late 1800's in the backwoods, mountain country of Wyoming. Because of the time period and seclusion of the family, it is easy to believe the horrific details of the book could actually take place. 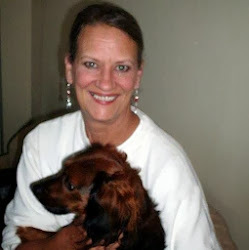 Synopsis of "A Shelter of Hope"
A Shelter of Hope (Westward Chronicles, Book 1)Simone Dumas had no hope of ever being rescued from her father's abuse. Her mother was murdered when Simone was only ten and Simone felt abandoned by her mother, by love itself. There were few women around and those women were just as powerless as Simone. The men in the town only leered with lust at the now seventeen year old Simone. She knew there was no one who was willing to help her escape the monster. However, even Simone didn't know how very low that man, her father, was capable of going until he sold her, along with their home and property, to a stranger in town. Louis Dumas had decided it was time for him to unburden himself. There were no longer many animals to trap in the area. Supporting himself, his daughter, Simone, and their home was simply too hard for him now. He wanted to go where he could take a new wife and earn an easier living. He certainly wasn't beyond stealing that living either. When Garvey Davis showed up in town with a lot of money, Louis saw his opportunity to rid himself of everything all at once. He sold Davis his home, his property and his daughter. Dumas assured Davis that Simone was a hard worker and would make a wonderful wife for him. Louis took Davis out to his home, introduced Simone to Garvey and announced that he was leaving. He told Simone that she had been sold to Garvey along with the rest of his property and would not be going with him. Simone knew she had once again been abandoned by a parent. When Davis tried to force his husband rights, Simone grabbed a nearby water pitcher and hit him in the head. While Davis was unconscious, perhaps dead, Simone quickly gathered her few things, stole his horse and started riding away from the only home she had ever known. She rode for weeks until she arrived in Laramie where she saw a train for the first time in her life. When she discovered it could take her a lot further away, a lot faster, she sold Davis' horse and bought a ticket to Chicago. Once in Chicago, she realized she needed a paying job. After all, she needed a place to live, food to eat and clothes to wear. 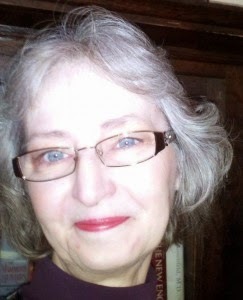 She came across an employment ad to become a Harvey girl in the Harvey chain of restaurants along the railroad line. She took a bath, bought a new outfit and went for an interview where she realized a name change would be necessary. 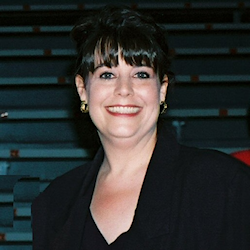 Jeffrey O'Donnell hired Simone "Irving" immediately without doing the normal background investigation. She looked nice and he needed servers for the Harvey House immediately. She left with him the next morning on a train bound for Topeka, Kansas and training to become a Harvey girl. Back in Wyoming, Louis Dumas realized he had sold Simone way too cheap. After all, he could have sold her many times over if he had only kept her. He decided she could be his goldmine. All he needed to do was take Simone back from Davis. When Davis' body is found in the old Dumas home, Deputy Sheriff, Zack Matthews, embarks on a mission to hunt down Simone Dumas who he believed either murdered, or played a part in murdering, Garvey Davis. Simone knows she is running for her life, but she doesn't realize that she is being chased by her own father and the law. Please do not think I have given away the entire story in this review. Because there are so many developed characters, and so much happens in the first part, it was necessary to give more of the plot background in this review then I would normally write. I assure you, there is a lot more to this book, including a love story. A Shelter of Hope is quite detailed as it walks us through Simone's troubled life as she, herself, finds a shelter of hope in the Harvey House. 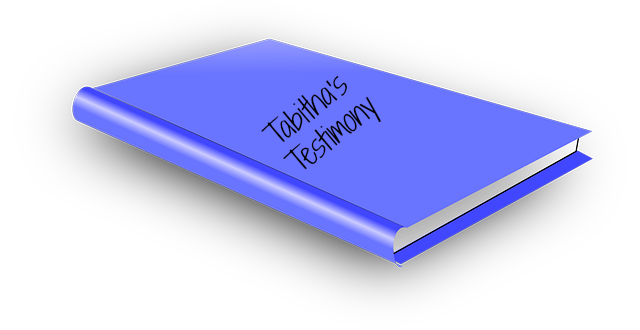 The book also gives us a inside look at the struggle of the young woman to ever trust anyone, including God. The Time of Grace Christian romance series is different than most I've read. 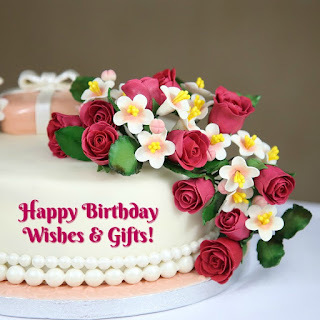 Its overall theme is that God himself is the great lover of the men and women who live their lives from day to day. 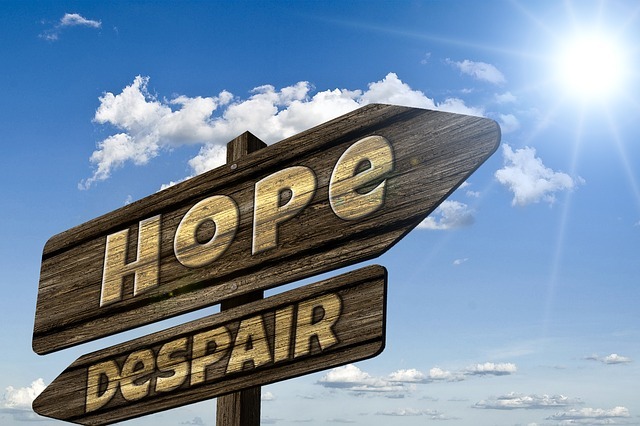 The secondary theme is the difference Christians can make in the lives of those who live in despair because they have not experienced God's grace and have no hope. Most Christian romances I read have two main characters who fall in love but encounter obstacles on the path to marriage. These are often due to a misunderstanding on the part of one or both of the characters. Maybe they overheard some gossip they accepted as fact, or saw something that was different than it appeared to be. The main action in these romances is getting the two people together and married so they can live happily ever after. We don't usually see what comes after. The three books in the Time of Grace Series are not like that. The main character, Jesus, is never seen except in the lives of his people and their efforts to reach out to those have not yet accepted his free gift of grace and salvation. We see God dealing with the main characters as families and as individual members of those families. The three Christian historical romance novels in this series are set during the depression years in Rhode Island. Book 1, The Fragrance of Geraniums, begins in 1934. In it we first meet fifteen-year-old Grace Picoletti, as she auditions for the school chorus, humiliated because the rubber band holding the sole of her saddle shoe has burst, and her shoe is flapping. Her family is destitute. We also meet her teacher, Mr. Kinner, who is conducting the auditions. He and his wife, Emmeline live in a lovely home and Emmeline grows geraniums from hanging pots on her porch. Grace looks forward to seeing the beauty of these red geraniums every day as she comes home from school. We also meet Paulie Giorgi, one of Grace's classmates, son of a prominent doctor. The Picoletti family is destitute. Grace's mother Sarah lives in despair. Her husband Charlie is unfaithful and abusive. As the book opens Grace's oldest brother Ben makes a surprise visit. He tells Grace their father is planning to bring his latest mistress home to live on a cottage on their property. He reveals he has fought with his father about this and has just punched Charlie out because of it. He tells Grace he has to leave again. The other four children are minor characters in the book. Sarah finally sends her favorite, Evelyn, to live with her wealthier sister so she can have a better life. Grace's two older sisters leave home to get jobs and live on their own to get away from the violence. Then they get married and we don't see much of them after that. Cliff, the younger brother, is out of control and often gets into trouble. 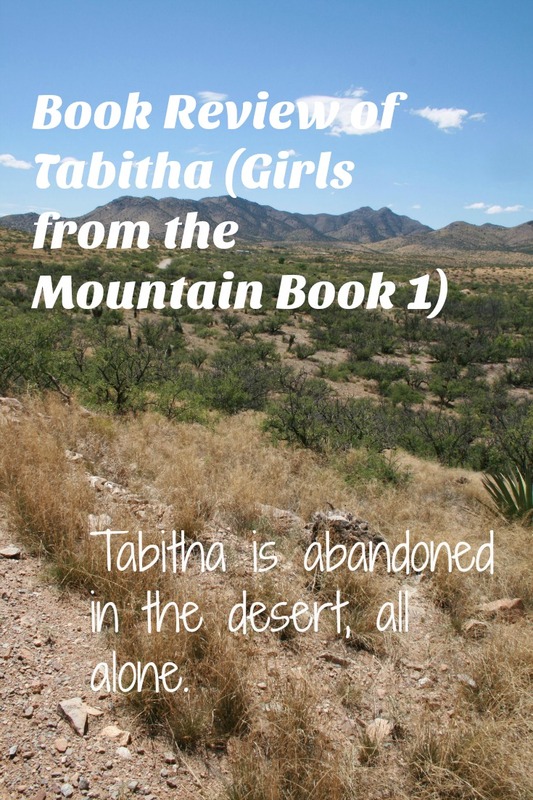 The author focuses mostly on Sarah and Grace, both of whom have little hope. There is not enough to eat, Charlie publicly humiliates them with his blatant infidelity, and they can't afford decent clothes or shoes. 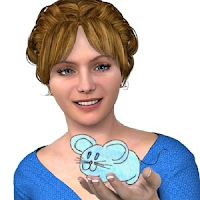 Sarah has let herself go physically, since Charlie pays little attention to her anymore except to demand she cook, clean, and take care of his laundry – or else. The family is Catholic, but they don't connect what happens in church to their daily lives. They have no notion of a God that loves them personally. They have no hope of improving their lives. Grace is highly intelligent, but Sarah is expecting another baby and insists Grace will need to quit school to help her. The baby is born 85% of the way through the book, and Emmeline, who has become a friend to Sarah, stays to help her. Charlie shows no interest in the baby and wants no part of him. This crushes Sarah. Charlie's mistress Gertrude leaves him and takes everything of value that was in the room they shared. Charlie goes to town, gets drunk, and is killed in an accident. He leaves Sarah no source of income and much debt, since he has not paid the bills or the mortgage in months and the bank is about to take the house. She sees no solution except to move in with her brother in New Jersey, taking Cliff and Grace, and leaving friends and her grown children behind. Geoff and Emmeline Kinner attend the First Baptist Church. They are a middle class family and economically well off enough to share what they have with others. They are kind to all. Geoff is Grace and Paulie's teacher, is truly interested in his students, and prays for them. To outsiders, Geoff and Emmeline appear to have an ideal life. But they want to start a family, and Emmeline has never been able to carry a child to full term. At the beginning of this book she has told her husband she is four months pregnant, and they are ecstatic, since Emmeline has never carried a baby this long. But when Emmeline sees the doctor the next day, he dashes her hopes and tells her she probably will lose this baby, too. Doctor Samuel Giorgi and his son Paulie, seventeen, live in a mansion with a staff of servants. 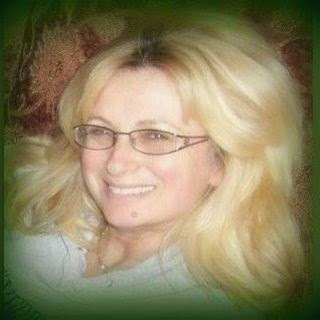 Samuel's wife, Julie, Paulie's mother, died of an aneurysm six years ago, and Samuel and Paulie miss her terribly. They also attend First Baptist Church. After Julie's death, Samuel hired Mrs. McCusker as a house keeper to run his household and help out with Paulie. Sam is a prominent obstetrician who often has to leave to deliver babies at all hours of the night. In the last chapters of The Fragrance of Geraniums we learn that Samuel had once been engaged to Sarah before he left for college. His family had disapproved of her, and said if he married they would not pay for his education. He had intended to get get through medical school and then come back and marry her. She had felt betrayed because he had chosen his education over her, and had married Charlie. Sam later met Julie and fell in love with and married her. After reading what's above, you can probably guess a lot of the plot. Paulie and Grace are classmates and fall in love despite their different economic classes. Emmeline and Grace become friends, and through that relationship Emmeline also meets Sarah and reaches out to her. When Charlie badly burns his face badly in the last quarter of the book, he comes to Sarah for help. She sends Grace to get the regular doctor, but he's away at a conference. They can't afford the hospital or an ambulance, and even though Grace is trying to avoid Paulie, she sees no option but to run to his house to see if his father will come. Mrs McCusker answers the door and says the doctor cannot be disturbed, but Paulie hears the conversation and gets his dad. Mrs. McCusker treats Grace shabbily. Sam and Paulie drive Grace home. As Sam treats Charlie, Sarah is holding his head. Sam and Sarah recognize each other. She did not know he had returned. By the end of the first book, Grace has finally understood that Jesus does love her and has given her life to him. Sarah has been listening at home in her darkest hours to a Protestant radio station, mostly for the music. What she hears conflicts with much she has believed as a Catholic, but she wants to believe that Jesus loves her and can change her. She just isn’t sure how to approach him. Emmeline has shared her faith and how Jesus helps her through her grief over the loss of her child. The book ends with Charlie's funeral. All three families are there. We have seen God's answer to the prayers of Emmeline and Geoff. The reader is left hanging as to what will happen to the Picoletti family. Will Sam and Sarah renew their relationship now that Charlie is dead? Do Grace and Paulie have a future together? Those questions are answered in the last two books, which I had to purchase because I couldn't stop reading until I reached the last page of the last book. Several themes play out in this series. First is God's unconditional love. This theme pervades all the others. Christians need, by God's grace, to forgive those who hurt them physically and emotionally, in order to be whole themselves. Love is sacrificial. This theme comes to a climax near the end of the last book. God's love is redemptive. Sam shows us this in the last book very vividly. God's love persistent. Both Paulie and Sam persist in reaching out to members of the Picoletti family even when their efforts are rejected. God seeks and saves those who are lost in despair and bitterness. He uses his people to help, as he used Sam, Paulie, and Emmeline in this book. They prayed, and they shared their faith, but first they listened and helped physically with unspoken needs. An example: Emmeline initiated a relationship with Grace just because she knew Grace always paused at her house to look at something on the way home from school. 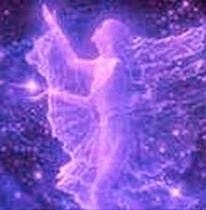 She used that knowledge to reach out to Grace and get acquainted. She suspected Grace didn't get enough to eat, so she made sure there were fresh cookies and milk whenever Grace visited. She suspected that Grace was ashamed of her home so she invited Grace and Paulie to have their tutoring sessions at her kitchen table, along with refreshments. The author shows that only people who get their sense of worth from the knowledge that God loves them are secure enough to be who they really are. Since they know God accepts them, they do not need to live for the approval of or fear the judgment of others. 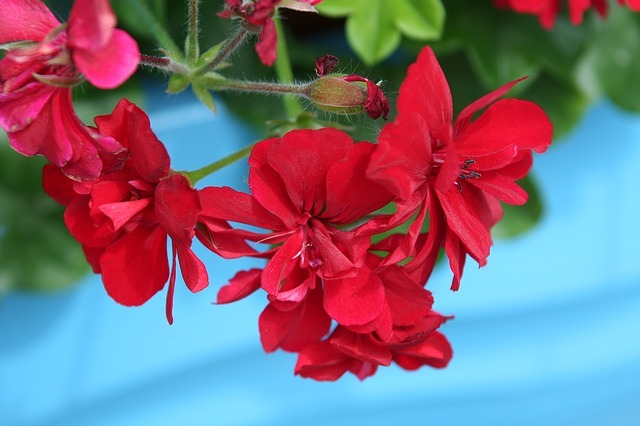 A good part of The Fragrance of Geraniums consists of passages from the Bible that the characters share with each other or encounter in radio or church sermons. This might be a bit much for some people, but each passage is relevant to the themes. The characters share their reactions, not always positive, to these passages. Overall, the series held my interest because from the beginning I cared about the characters. I empathized with Sarah and Grace. I wanted Paulie and Grace to straighten out their friendship when it became strained. I wanted Sarah and Grace to experience the grace of God. And I wanted Ben to surrender his bitterness and false pride and answer the nudging of the Holy Spirit. I wanted to see how God would accomplish his plan in each life. I felt there were some weaknesses that we see in many Christian novels. Although there was a lot of showing in the lives of the characters, there might have been a bit too much telling. It was preachy. Sam and Paulie were so godly they were unrealistic. I loved them, but they were almost too Christlike. They were both very good at turning the other cheek and praying for those who hurt them when most people would at least say something hurtful back and ask forgiveness later. They did sometimes have thoughts that weren't loving, but they hardly ever gave voice to them. I can't think of one example where they really lost it, even though they were tempted. The author was good at foreshadowing future events. 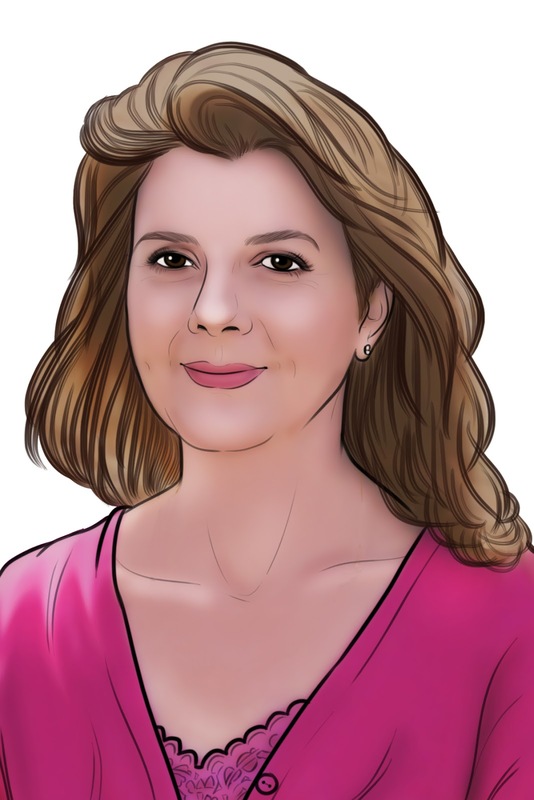 She dropped enough clues to enable the reader to predict why there was a problem between Grace and Paulie in the last book. To say anymore would be a spoiler. The relationship between Paulie and Sam was one any father would envy. It contrasted with the terrible relationship between Ben and his father Charlie. Emmeline and Geoff showed Grace that all men were not like her father and that a marriage could be healthy and loving. Unlike most romances, the books in this series are serious and deal with heavy subjects like abuse, bereavement, and rebellion. The marriages are not always the “live happily ever after” kind – even when the man and wife are Christians. Even forgiven sins have consequences that make life hard. God works his plan out even in these marriages that aren't ideal. The main love is between God and the characters, and until they are rightly related to him, the human love affairs don't go very smoothly. As you read the looks, you may find yourself grappling with issues instead of escaping into a pleasant world with a happy wedding at the end. There are plenty of dark valleys to walk through before you see a rainbow. It's still a journey I'm glad I took -- realistic or not. Book 1, The Fragrance of Geraniums, is free for your Kindle as I write this. I hope it will hook you and that you will want to read the other two books, as I did. I would suggest you get all three books at once. Just click on the book covers above.